When horses are transported, their minds and bodies are placed under a large amount of stress. This has resulted in the development of many health conditions such as respiratory and gastrointestinal issues, pyrexia and physical harm. Researcher Ms Paladino summarised that “Monitoring of the horses’ behaviour and health, during and after travel, are important practices – to identify animals that are developing a transport-related disease – and provide prompt assistance,” following her investigation into travelling induced illnesses. Despite being the most travelled livestock and the most seasoned travellers, from the moment the horse steps on to the lorry, they recruit postural support. This has proven to have physiological effects such as dehydration, an increase in muscle damage enzymes and increased stress hormones. For the average horse on its way to the vet or a local show, this may not pose a serious risk but for those at high level of competition, this effect on the musculoskeletal system could compromise performance. At Trackener, analysis of the whole horse's life is very important to us as performance makes up just a very small amount of the horse's time and yet is affected by everything that happens in between. Thanks to GPS and movement detection components within the device, Trackener is able to detect time spent travelling by the increase in speed while the horse is stationary. 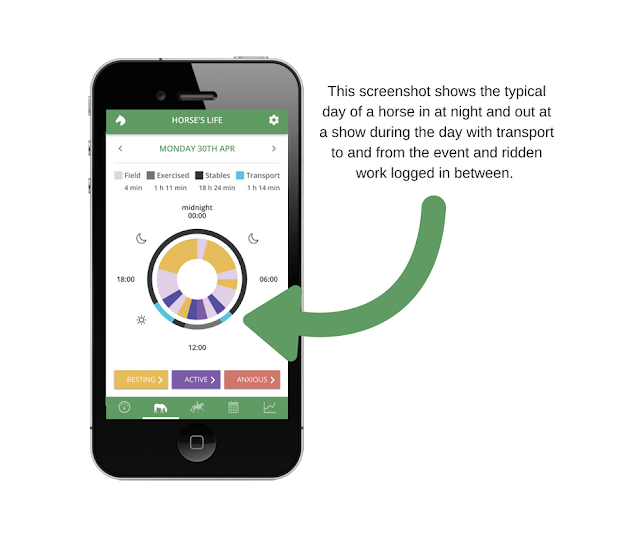 Time spent travelling is then displayed in the horse's life as shown in the screenshot below. Even if your horse is a good traveller, it is more than likely they experience an elevated heart rate during transport, particularly during loading and unloading as research suggests this is inevitable in even the calmest of horses. To read more about the research, take a look at the full blog here. Our findings correlate with this research as shown in the raw data below whereby heart rate shows a clear increase just after 10am and just before 10.30am during loading and unloading. During transport, the heart rate also averages around 45 bpm compared to 40 bpm usually seen in this particular horse at rest. Due to travelling often being necessary for either medical trips, the re-location of a horse or for their role as a competition horse, spending time in a horsebox or trailer is often unavoidable. Therefore, it's our job to make the process and each trip as comfortable as possible. 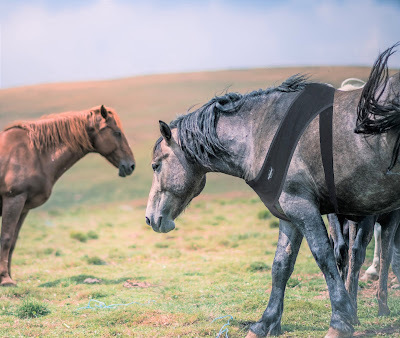 By receiving unique insights about the horse's stress levels, it may be possible to detect and prevent health issues early on and determine at what point the horse becomes unsettled, whether it be due to route chosen, the driver or the length of time without breaks. This can then be used to optimise future journeys, indicate the time needed for rest upon arrival and maintain a healthy horse. For more information on the product or to buy, visit the website.